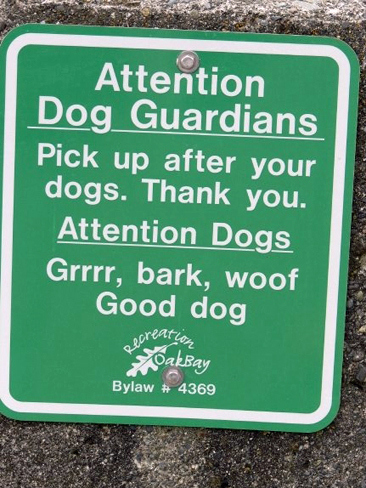 Ok, the whole world knows that Canadians are dog lovin' types. But when one of our readers sent us this photo from Oak Bay, located on the southern tip of Vancouver Island, in the Canadian Province of British Columbia, even we were impressed! And of course, its a cute and funny way of reminding everyone that its important to pick up after your dogs. If you'd like to know more about the wonderful community of Oak Bay, take a look at its official website. CanadaVet is Now on Facebook!